Or contact me by filling in the form below. Although I mainly work in the Marbella area, the location for our one-on-one training sessions is totally up to you. We can exercise outdoors, in the comfort of your own own home or in the lively atmosphere of the gym. San Pedro de Alcantara, Marbella. 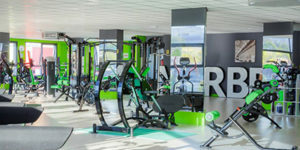 Gym Panatta Marbella provides a friendly and motivational atmosphere using top of the range machines. With nearly 1000m2 of floor space, over 40 machines, a full-size Dojo, Spinning room, Yoga room and Outdoor training area, we are certain we have what it takes to accommodate you.